Total vehicle Cover insurance for public liability, third party property. All valid driving licenses which have been issued by the European Community will be accepted.Other driving licenses must be accompanied by an International driver’s permit. Drivers must have held a full license for a minimum of one year. All traffic fines resulting from violations of the Greek traffic law and for renter’s account. 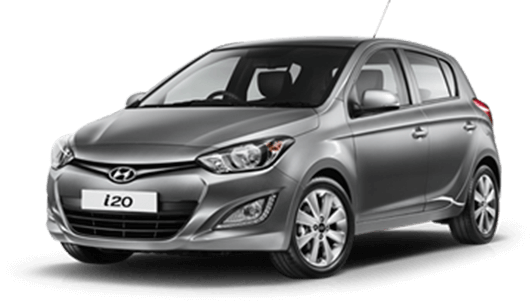 A deposit of 20% when you make your booking first time with our company Mega rent a car, the rest of payment with your arrival. No deposit for our gold customers. We accept Visa, Diners, Master, Maestro. Cash payments are acceptable in euro. Vehicles are not permitted to be taken out of Corfu. Fuel consumption is payable by the renter. Refunds are not given. If the vehicle is returned later than the time specified in the contract, every hour in excess is calculated at 1/5 of the daily rate and at 4 hours an extra day is charged. Service between 22.30- 06.30 are available with an extra charge 15 euro. Baby or booster seats free one per vehicle, for more , extra charge 1 euro/day. Navigation system is available with an extra charge 4 euro/day. 3rd or 4rth driver extra charge 3 euro/day. 1) Disobay national traffic laws or drive in non asphalt roads. 2 )Driving under influence of alcohol or drugs. 3) The car is driven illegally by somebody else. In case of a damage, crash, accident, hit or loss, the renter should contact us immediately in older to make a report. PAI(personal accident insurance)included in the price, covers for the passengers and the driver. SCDW (super collision damage waiver) covers third part liability, tires, glasses, interior. FCDW (full collision damage waiver) covers third part liability, tires, glasses, theft, fire, interior, undercarriage, limits the liability in case of accident to zero. · Disobay national traffic laws or drive in non asphalt roads. · Driving under influence of alcohol or drugs. · The car is driven illegally by someone else. · In case of a damage, crash, accident, hit or loss, the renter should contact us immediately in older to make a report. Charges for any of the damages written below will be charged directly to the client: Antenna, trays, damage to car lock, loss or damage to keys, hudcap, gas cap, windshied wipers, lights, spare key, car jack, damages to the roof, damage to upholstery of a car, underside damage, fuel errors, damage to booster or baby seats, tire punctures and burst tires, lack of electricity because of forgoteen turned on electrical devices, loss of registration plate, loss of car documents, extreme dirtness in the car. Mega rent a car in any case, is not obligated to replace a flat tyre or damages in music devices. Towing costs are not covered by any insurance.